What happens if you choose to obliterate yourself at the obelisk in Risk of Rain 2? Find out by reading our guide. When it comes to video games, trying to obliterate yourself from existence is generally not a smart idea. 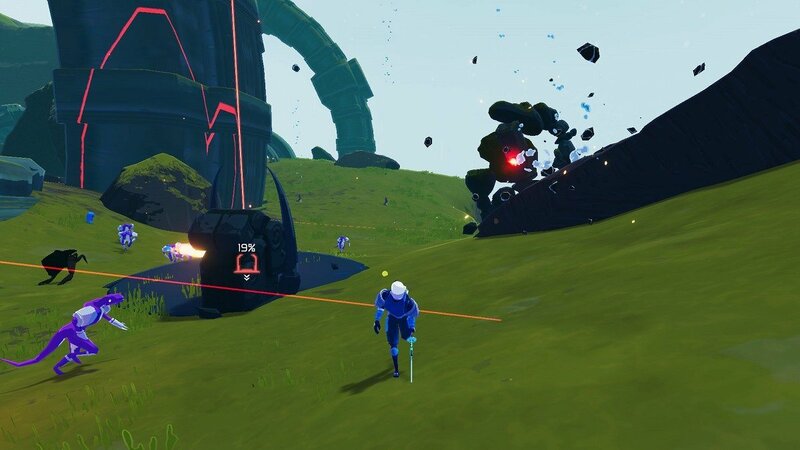 In Risk of Rain 2, however, it's not only common, it's something of a right of passage. So what happens when players take the plunge, choosing the option to "obliterate yourself at the Obelisk?" Read on to find out. The option to obliterate yourself from existence in Risk of Rain 2 appears when players approach an Obelisk. These are only found after locating and walking through a Celestial Portal, and the process usually involves characters avoiding several large pitfalls and other platforming obstacles on the way to the Obelisk proper. Once near the Obelisk, interacting with it brings up the option to obliterate yourself from existence. If players select it, they'll watch — likely with a misplaced sense of surprise — as their characters sacrifice themselves. What did you think obliterate meant? Don't worry, though, it's just another one of the unusual mechanics in Risk of Rain 2. There are two good reasons to choose to obliterate your character: First, it is the sole action required to earn the True Respite in-game achievement. The second reason is that choosing to sacrifice the character is the only action that will unlock the Mercenary character. How's that for a twist — earn a new character by allowing the old one to be sacrificed. Go ahead, choose to obliterate yourself at the Obelisk in Risk of Rain 2. Your poor character may be sacrificed, but the rewards received in kind should more than make up for the hardship. It's all about risk versus reward, after all. Keep on top of other game guides like these by heading over to Shacknews' Risk of Rain 2 home page.